Victoria and I want you to get how easy manifesting really is, and how often you can succeed every single day, so you can succeed even faster and easier manifesting what you truly want – everywhere in life..
Because when you NOTICE how easy this actually is, and when you NOTICE how often you actually do manifest what you are feeling, you can celebrate and be ROCKET FUELED by your wins, and you can adjust QUICKLY from “your failures”. So your Success Rate Skyrockets! Here’s how to get it more than EVER before…. Every sniper has a spotter. Sniper and spotter, they function as a single highly trained and highly effective unit. He said the sniper, was highly trained to take the shot. Let’s call that, “following the formula”. The spotter, was trained to notice and to tell the sniper EXACTLY what that shot did – now – and what adjustments to make – in seconds. Makng INSTANT ADJUSTMENTS, means getting FASTER RESULTS. We are going to SHOW you EXACTLY how we do that, while we are doing it live in the recordings, and we are going to dive much much deeper together, into the most exciting project we have ever done. Because without REAL TIME noticing – the sniper can’t possibly do his job – effectively. His life would be a hit and a miss – and that doesn’t cut it when it matters most. Before I figured all this out…. and started applying this to EVERYTHING I do in life. I was constantly frustrated – playing the hit and miss game. This is what I learned…. We know this works – all the time – because we NOTICE it works – all the time. So in Manifesting To The Max – you are getting how to notice more – much more (in your bones) – much much more, so you can notice fast, in seconds, when you abandon or abort your desires – and when you start manifesting what gets in the way, exactly what you don’t want. Let’s dial this up a level higher! If you watched us live or on the replays – the FeelItRealFunVideos – 51 to 64 (about 2 solid hours of good fun) you’ll see me, teaching Victoria two of the three models we are diving deep into in the MEMBERS ONLY SECTION. These are the same models that I’ve been working with – with a handful of my personal clients – for the past 3 years. And you’ll see her learn, live on camera – exactly how she creates massive success in her life, and you’ll see her SPEED UP. You’ll learn how to stop abandoning or aborting your wishes, desires and dreams. Instead live FULLY from them. You’ll learn how to notice when you fully assume the state of your wish fulfilled, and when you THINK you do. You’ll watch and hear us celebrate our successes – AFTER we use the models, so you can follow along, noticing how we get lost, and how we find our way home – so we lock in our success GUARANTEED. Make sure you enjoy those videos, while you are doing this training…. Those videos ALONE COULD rock your world, make sure you watch them… then let the members only recordings and transcripts take you MUCH DEEPER…. 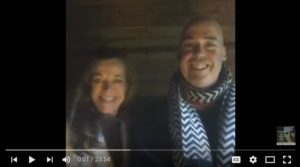 WATCH THEM again – after diving into the Members Only Materials – because they will help you SEE what we are exploring – much deeper – in the Members Only Materials of Manifesting To The Max! Power point: If you’ve compared the 4 FREE INTRODUCTION RECORDINGS we are giving away (one solid hour) – to the live Feel It Real Fun videos you’ll have noticed – they have a different “flavour” and that the RECORDINGS are opening to a deeper depth and detail level – than what we can share in our live shows. BONUS: MEMBERS also get ENHANCED TRANSCRIPTS to all those intro recordings and more…. MANIFESTING TO THE MAX is a 90 day program. It is segmented into three modules in the Members Only Section. UPDATE: These are ALL AVAILABLE NOW in the Member’s Only Section for you to download and enjoy, TODAY! HAVE FUN! “I don’t want you to just LEARN this…. POWER POINT: LISTEN to these recordings OFTEN. THEN PLAY WITH (don’t WORK AT) what you are listening to. And you’ll notice, time and time again – when you go back to RELISTEN or to REREAD the members only materials, it’s like, “whoa, I didn’t hear that before. Every listen will become a totally new adventure, because of how you are changing in the course. That’s what life should be like EVERYWHERE! That’s why we call this THE ADVENTURE OF A LIFETIME! …You are gonna start noticing EVERYONE in a whole new way. Instead of just getting this conceptually (head), or sometimes getting it as a real life “aha moment”, you are gonna get this at such a core level, you’ll be like us – in wonder – amazed at how many people WASTE so much energy – trying NOT to notice – and very effectively ignoring – what could change their lives forever BIG TIME! The more you notice – in both you and other people how FAST “this happens” – and how RARELY both wins and losses get in ANYBODY’S attention, the more you are going to TOTALLY ROCK YOUR WORLD. SIDE NOTE: THINK ABOUT THIS, like driving. If you’ve EVER driven in HEAVY FOG, and you can’t tell where your car is on the road – you’ve got to SLOW WAY WAY DOWN – or you will CRASH. WELCOME to a world of NON STOP opportunities to have fun, to tune up what you do, and to FLY LIKE AN EAGLE while on this adventure of a lifetime! Welcome to Manifesting To The Max! You know what we teach works, and you know what we share ISN’T what everyone else is teaching – it’s no where near the same old crap, or the fairy fluff everyone shares online. You’ve read your success stories on FreeNeville, most of those come from Manifesting Mastery Members – other 90 day program. And you know it works. You can read that for yourself. And you’ve seen the ROCK SOLID GOLD GOODIES we give away 5 days a week on the Feel It Real Fun videos, and over 1,000 articles, lectures, videos and audios on our sites…. And if you are ready to dive even deeper, we are pretty much giving away all this, for just $97 bucks. That’s it. YOU GET THE WHOLE ENCHILADA! For $97 bucks you get all that – and a surprise bonus or two that you’ll discover along the way. We’re talking PRETTY MUCH back stage access….. For Members Only. JOIN US TODAY – MANIFESTING TO THE MAX – CLICK HERE! WHY DO WE LOVE THE 18 INCH ADVENTURE? The 18 Inch Adventure guarantees you fully assume the state of your wish fulfilled. Keyword – FULLY. The 18 Inch Adventure stops you from ACCIDENTALLY ABANDONING OR ABORTING what you have chosen to give birth to, so you win – every – single time. WHY IS IGNITION SO VITAL TO YOUR SUCCESS? Ignition makes manifest THE BIG THINGS AND THE IMPORTANT THINGS as easy as manifesting the small things and the silly things. SIZE stops mattering, when you are noticing how often you actually DO MANIFEST – which is all the time. But when you are actually noticing – in real time what you are manifesting – two things happen – you STOP manifesting stuff you don’t want. And you STOP MANIFESTING STUFF that BLOCKS THE BIG THINGS YOU WANT. (Most people never consider – that they are manifesting DAILY what blocks them from receiving WHAT THEY REALLY WANT. THEN, THE POWER OF PURPOSES makes you pretty darn much bullet proof. As you’ll hear in the recordings, living from the state and manifesting the one big thing I wanted, made life a living hell. I was either very happy “YES I’M ON IT” or living totally lost in “NO, I’M SIDETRACKED AGAIN”. You’ll see how Mr Twenty Twenty, personally getting sidetracked and delaying getting his Black Belt for a year (only having ONE PRIMARY purpose) taught him why you need The Power of Purposes 100% locked in, the way we do it now. This SUPER STATE model has been over 30 years in development. I just ordered Manifesting to the Max yesterday afternoon. Yes! The intro is INSANE! Fell asleep to it. So excited to listen today again. Just ordering it was actual proof from other teachings I’ve implemented. I’ve been stashing away money in a few different places just since Jan 1st 2017 and I love it! I FEEL like I have money all over. Because I DO!!! I was in an old mindset that I have to “make” the money “and then” I can get the course. I caught myself strategizing to “get” the money as I was burning up the Feel It Real For Fun Videos. So funny, strategizing getting the money while listening to a teaching on how to breathe the life I prefer into my personal experiences. Talk about double minded! Then I remembered the bank money, the checks needing deposited, and the cash box, and I thought, wait I already have the money! This of course doesn’t even touch the Attitude Money in my wallet that smells so good because I spray it with my favorite perfume. My Cash box and the investment and enjoyment cash part of my wallet is sprayed too. And thank you for saying go to the bank and get new bills. I LOVE LOOKING IN MY WALLET AT THE BRAND NEW $100 and the BRAND NEW $50 that I know I will never have to touch again! And today when I go to the bank I am adding more!!! Woo Hoo!!!!!!! Thanks for the Welcome Mail to Manifesting to The Max! It made me happy! I just have finished my last day of Manifesting Mastery and I really wanted to keep going and learn more. So it was very clear for me that I will also do the Manifesting to the Max course. I have already started with it and have studied the introduction of the 18 inch adventure – and I am applying it. It’s very powerful – and also such a wonderful feeling! Oneness. I love it! So I am looking forward to the next 90 days (or maybe it will take me also a bit longer) and learn and grow even much more. I have grown so much since I have started with Manifesting Mastery. I have learned so much and my awareness has expandend a lot. It is a very powerful course and I am so grateful that I decided to go for it. Everything has no started to come together and fall into its places. It’s like coming or being home. So I wanna thank you again for your amazing work! I really LOVE it and I benefit a lot! Thank you so much! P.P.S Say hello to Emmet and Bruce! All of your work and projects are amazing,authentic and truly groundbreaking with real truths,inspiration and perfection. This one here is pure gold.’Unalloyed’as Neville would say.I love how the teachings are based upon relatable events of life and easy to grasp and of course apply. My personal experience of following the smallest yet greatest 18inch journey of my life has brought me wisdom,peace,prosperity and success every single day. The beacon leading my journey is my personal gratitude and appreciation for your work and I urge everyone to just dive in on this and embark on the their exciting journeys of inagination,self awareness and manifestation. Noticed I am down 5 lbs did I actively say I am going to change up my eating habits diet or exercise? Nope I just imagined me at the size I would like held it and left it alone. My appetite has completely changed. My energy levels have been through the roof and my weight has shifting-oh yeah! Last month I could not shake my sweet tooth this month it’s like a my body had a reboot! Yep! Will keep us posted! Jury duty…it was for a week minimum. Everyone telling me all their nightmare stories 6 weeks/sequesters blah. I know it’s my civic duty-just not interested. So I thought on my first day they will say alright you are dismissed you don’t have to come back. Due to the route I had to take to get there upon their asking I was excused from the case and his clerk came out and said “see ya in 10 years” and I was dismissed! I mentioned in a comment a while ago that I had imagined paying off my student loan as an experiment when re-reading a Neville story where this guy imagined 0 balance when writing out his check for a loan. I thought that sounded interesting and also curious about how it would come about so I gave it a go. After that forgot all about it. Last month, there was slight movement in this direction, that’s when I remembered the session I did. This morning, I got confirmation that I will be getting the whole amount I need to pay it in full. Not only is that feeling amazing, I’m excited because the sizeable monthly payments I have been making can now be used to invest in other ways!! Hey everyone!a quick ignition story from today. I was inspired by something that Twenty Twenty and Victoria mentioned in their feel it real video the other day.. If I remember correctly Victoria was talking about a certain clicking sound that a door makes on the cottage they’ve been working on lately.how that sound moved something inside of her to the point of feeling and knowing..that kinda stuck in my head so I was thinking about my own affairs I remembered something that Neville talks about when feeling it real and that it to use your senses. Twenty talks about this in his Prosperity Pack – which is amazing by the way- how to play with touch – sound etc..so IGNITION: I felt in my session the feeling of a opening certain door knob which is on the entrance of a recording studio that I sometimes collaborate with.there is something distinctive about every door handle we use if you notice it. So I did it again for another place I collaborate with..just an hour later I got that call.. If you’ve been playing with Ignition – you’ll start discovering – you are – manifesting – non stop. Sweet. I do this just for fun, investing in great foods – for our bodies – and investing the difference – usually in education – to feed our minds. Other manifestations for today, included seeing 2 “dog park friends” we haven’t seen in a few weeks – we were just talking about them, yesterday I think, I felt “ignition” – feeling like we were talking with them and “boom” there they are – walking PAST the dog park – that we usually don’t go to. We’ve got heaps of stuff online, from different projects over the years. I was just pondering one of them, 3 days ago, and we got in 3 days, the number of sales we normally get in 30. Again – just good fun. Seeing a pattern? We want you to explore – The 18 Inch Adventure – and Ignition – – so you enjoy more “fun” and “fun manifesting. Look for more goodies starting with the next Feel It Real fun show, in about 12 hours… And go enjoy the giveaways from Manifesting to the max – just – for fun. PS: Well be unleashing that program – July 4th. Know why? Hmmm …. Could the release date of July 4th have anything to do with Independence? Birth of a brand new you? A new start? Celebrating Independence? Can’t wait to find out! Hi everyone, wanted to share something today. In November I received a new “bridge of incident”…a cashiers job in a grocery store. Truth be told, it was the last thing I wanted. I wanted my coaching biz to flourish. I have debts that a cashiers job could not even put a dent in to… yet that’s the job that came. In spite of this “kinda hopeless” feeling I had about a low wage job – Every day, at work, from day 1 through now, 7 months later – I am asked just about daily – how I can be so happy, so friendly, so optimistic… so nice…ALL THE TIME. I recently told my adult son about these remarks and he laughed and said “tell them you just lie all day – you put a fake persona out there”. My gut answered (if guts can…) no, this is a REAL state. A state you CHOOSE when you walk into the store. It is not a false persona at all. OK… so here’s how my last 24 hours went. Lately I’ve been saying and reminding myself and understanding on an intellectual level, whenever there’s tension or friction or conflict, that “I created this” and “This is me outpictured.” But not really FEELING it or seeing it on a GUT level. But lately also feeling that I want to really test the law and be a DOER of the word and not just a hearer, as Neville said. So I went over to get a hose, and they have some new “expandable hose.” I started up the water, thinking a gentle flow would come out of the end… instead, it has a built-in spray nozzle on the end, so as soon as I turned the water on, the end of this hose leapt up and spun like the head of a cobra, spraying water everywhere, mainly onto my shorts and shirt. So I came back over to the table and sat down and I don’t know what I was about to do, but from the window at the back of the house, I heard this frantic knocking of them trying to get my attention. I went inside and it was my Dad. He’d been vacuuming and had the cord from the sweeper stretched across the living room floor, and my mom came in and didn’t see it and caught her ankle on it and fell, and there she was, lying on the floor on her back… still conscious, face up, but in pain. I felt at that moment like the woman in one of Neville’s lectures whose son went AWOL from the draft, and she said she knew EXACTLY why and how it happened, and what thought of hers created it. So I called 9-1-1 and got them to come… the ambulance came and they took her and Dad to the hospital, and I drove behind them. And I realized this was an amazing opportunity for me. I had CREATED this and now I could UNcreate it, right? So while my mom was in the emergency room waiting to be treated (is there any worse “false god” than the medical profession? ), I was silently imagining a doctor saying “Well, there’s no break” and “It’s just dislocated and we’ll pop it back into place.” (The knowing that comes with making a full 18 Inch Adventure). Of course that was exactly what the diagnosis was. Separated shoulder. Not a treat for anyone, especially an 83 year old woman, but not as bad as a broken arm or shoulder or collarbone or neck. But I could trace and felt and recognized and knew the EXACT moment that I caused that. I realized that I could UNcreate what I’d created and I didn’t really “revise” so much as just imagine a positive outcome. The whole time this was happening I felt a calm power and a command, like I KNEW what and why this was “happening” and what I could do about it. P.S. Odd other little thing about this that I need to report: when they came back with the diagnosis (separated shoulder) and for a while after, as she lay there in pain waiting for the sedative to kick in so that could put her shoulder back in the socket, I felt a light but distinct pain in my left shoulder at the joint. The email I received with the link to this page said there were four videos to watch. I don’t see any videos on this page. My son wanted to go to Wendy’s and grab a taco salad. I told him I would give him a ride. Usually when I go I just hit the drive thru but “for some reason” I asked him if he wanted me to go through the drive thru or i can just park and he could go in. He said he would go in. So while I was sitting there in my truck waiting for him, I thought ” I could really go for some chicken strips.” I NEVER order chicken strips from there. If I go, I usually grab a bacon deluxe burger. Well out walks my son with 2 bags and I said what all did you get ?? He says ” I got my salad and I thought I’d grab you something also but I couldn’t remember what type of burger you liked so I grabbed you a chicken strip combo. So cool and it happened so quickly !!! TT and V note: Great example of ignition Mary Ann! Celebrate that win! The more you notice those IGNITION moments, the easier manifesting EVERYTHING becomes. Blessings! Very thankful for your comment. “I am the person for whom all this happens all the time” GREAT !!!!!!!!!!!!!!!!!!! Twenty – this is a deep, and simply PROFOUND conversation. Your style of sharing and teaching is like every-man – we can each relate to. I am only into the third introduction (Just so like you!) – listening to the how you can shift from loving puppy-dad to a loving personal trainer …. who cannot relate to that? You writing as you. Everyman. YES! The invitation is equally profound… and I suspect… I will write you often. It is just an overflow of the joy I feel when I find something so…on point and so…helpful… to me. I called to inquire about this matter this morning. After some investigations into our case I was told that a mistake had been made. We were approved. Manifesting to the Max is great! I applied the teaching in the grocery store the other day. TwentyTwenty’s teachings are very relevant. Formulating an aim is more in the ‘belly’ to me, thanks of the 90 day Manifesting to the Max. I am learning how to WALK or rest in the state I aimed for. Thanks Twenty Twenty i am enjoying laughing with the lessons, noticing my bobble head thinking and gaining a wealth of valuable fire in the belly! Hmmm seems this IGNITION “stuff” works. I woke up this morning to an iPad that was essentially frozen and inoperable. I tried everything: resets, power off and on repeatedly, leaving it alone for a while….nothing worked. I HAVE to use my iPad in my work everyday as we use a specialized app during our client meetings and I didn’t have the money to buy a new one (we supply our own iPads as sales reps). Anyway, I did a FIR session imagining walking out of the Apple store with a brand new replacement device as I didn’t want this one just repaired due to concerns the problem would happen again during a sales presentation. Went to the Apple store and had the tech look at and they tried everything, resetting the device, wiping all the data and software off of it clean and installing new firmware/software….nothing worked. The technician excused herself and went in the back and presented me with a NEW iPad at NO CHARGE! This had more meaning as the device I originally bought was a refurbished one and the screen had scratches from my use. For those who have gone through Manifesting Mastery……at the end of my FIR session I collapsed to the point of taking the cellophane wrapper off of my new iPad when I arrived home. Oh by the way, I’m posting this on the new iPad now! Thanks for your work Twenty Twenty! So glad I came upon your site and got involved in MM and follow your vids!! Isn’t SPEEDY MANIFESTING like this FUN? So I imagined finding a missing toy for my son. Soon After while I was lying across my bed staring out of the window at a squirrel, I decided to lift the mattress and I found the toy. It was wedged between the box spring and the slates. Are my manifestations speeding up because I’m testing the law more? I’m finding that things are flowing quicker. The ones that I did intentionally and the ones that I created when I’m not paying attention. This is EXACTLY what we expect in this course, and exactly what we are getting – SPEED. You can’t help but SPEED UP, when you explore IGNITION and THE 18 INCH ADVENTURE – – because they bring into awareness – just how fast you are – which is fast – very fast – faster than your mind can accept at times. Keep enjoying the recordings, and diving into the program. You’re gonna have HEAPS more goodie fun and fast success stories, because literally – we are burning away the fog – so you can pour on the gas. Whilst in the process of casting for my film I had a certain well known actress in mind..everyone saying she won’t be interested etc etc.. I held firmly in my mind during sessions seeing her name on the opening credits. Felt great and also carried with me during my days the coolness of how great it is that she’s attached to the film. Sure I had moments of doubt and thinking there’s no way..that’s ok I gave them their moment and moved on. Well..fast forward..in a way I could never have imagined my script was delivered to her over the weekend…and I just got back from our meeting where she said YES and she’d love to be part of it.. I just had to share my weekend experience with you! I took my daughter to an all ages free performance at our local performing arts center this weekend and as I pulled into the parking lot the big neon sign was flashing GREASE – SOLD OUT! My daughter (who has special needs) saw GREASE and got so excited because it’s her favorite movie! I had to explain we were going to see a different show right now. In my mind I immediately thought of Neville’s experience with theater tickets and knew in my heart I could do what Neville did! When we entered the center we passed the box office and a lady was at the window behind a sign that said all performances for GREASE were sold out. I approached the window and inquired if they had any cancellations. The woman explained she wouldn’t know until right before show time. Suddenly two girls showed up and said hi and I asked if they were in the show and they were and I asked if they had any tickets because it’s my daughter’s favorite show. They did not have tickets to give us but told me to get on the wait list. Well I went back to the box office and inquired about the wait list and the woman took my name and told me to return at 10 minutes prior to the show but there was no guarantee that we would get in or that our seats would be together. At that moment I knew we would be seeing the show that night. Well I took my daughter in to the free all ages show and she just kept saying GREASE! I told her that this was just a practice show to see if she would like to see the real show GREASE and we would have to come back later for that show. Well we enjoyed the performance of “The Moustache Tales” and my girl stayed after to go through the line and meet all the actors and get their autographs. On our way out we stopped once more at the box office and the lady told us they often put seats aside for emergency in case something went wrong with a purchase, but she asked me not to tell that to anyone! We had about an hour and a half before GREASE. I then informed the lady we were going to go get a bite to eat and change into nice clothes for the performance that night. So we went to McDonald’s and I bought my daughter a happy meal all the time telling her our plan to eat then go home and change for GREASE. When we returned to the center the same woman recognized us as we got to the window. She said we’d have to wait about 15 more minutes. We sat down and within 10 minutes the lady called us up to the window and presented us with 2 seats together in the 4th row center! It was miraculous! My daughter was so excited and just Loved the show! Afterwards she wouldn’t leave! So we sat in the lobby with other folks who lingered! Suddenly the actor who played Danny Zuco came out and my daughter ran up to him and hugged him! We then got pictures and autographs from all the actors as they filed out through the lobby!! It was a magical night and one neither of us shall ever forget!